Follow this guide to get set up with Talenox. This guide will show how to connect and sync with Talenox. 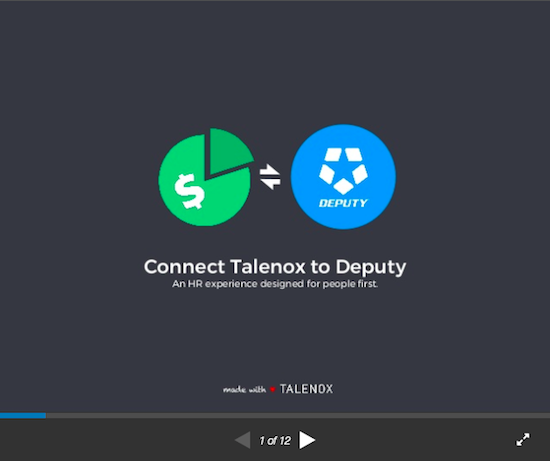 In Talenox, head over to the Integration page on the top right menu, then select 'Deputy' and ensure that you kickstart with mapping cost centres in Talenox to locations in Deputy. 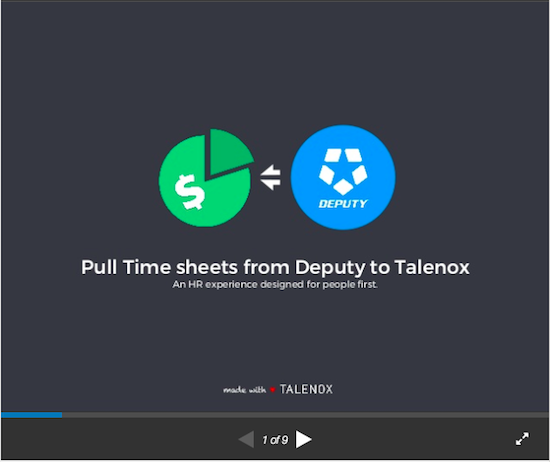 You will need to do this first, before creating employee profiles in Deputy using the employee details from Talenox.